Ton­ka­wa Indians lived in this area before Anglo settlers arrived. Tawa­koni Indians also occupied the area prior to 1841. The Texas-Santa Fe expedition of 1841 passed near the present site of the park in Bosque Valley. Meridian State Park is a 505-acre park near Meridian in Bosque County. The state acquired the land from private owners in 1933 to1935, and the park opened in 1935. 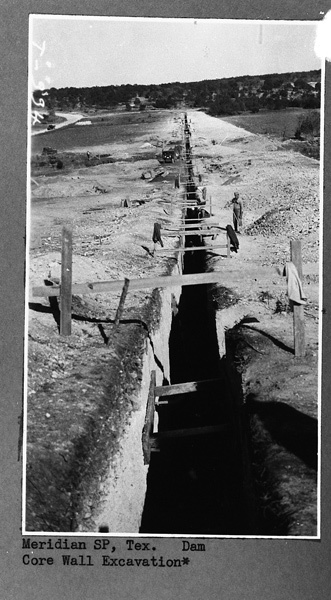 The Civilian Conservation Corps built a rock and earthen dam on Bee Creek to form the park's 72-acre lake. Learn more about their work here at The Look of Nature: Meridian.